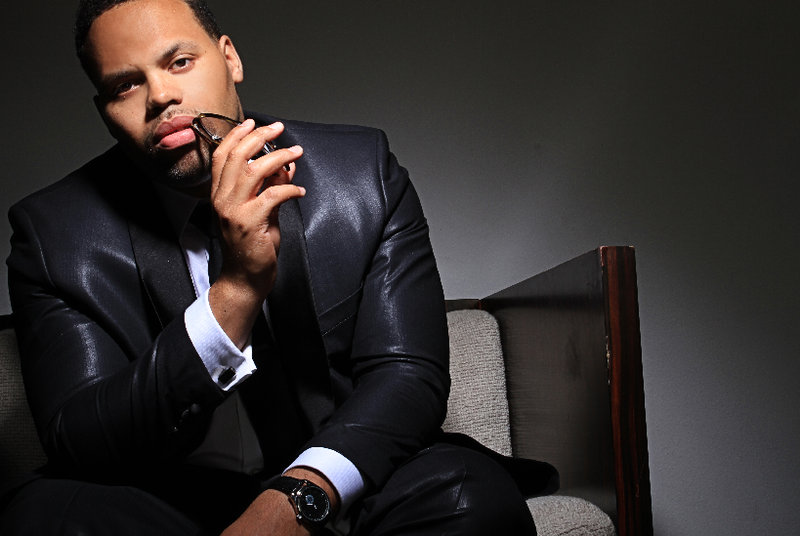 Eric Roberson has one of R&B music’s best tenors but he’s also the model for success as an independent artist. Releasing four albums through his own record label, Blue Erro Soul, Roberson has garnered several Grammy nominations and a slew of additional plaques to add to his “I love me” wall. But at the heart of this singer-songwriter is a family man first and a music fan second, as he proclaimed on his fifth album of the same name. ESSENCE.com: As a married man with one young son, how was Father’s Day? ERIC ROBERSON: It was great, I’m expecting another son in a few weeks and I’m so excited. Father’s Day was also my father’s birthday too so we just had a family day. I’ve been on the road but after the ESSENCE Music Festival, I’m taking time off to be with my family. ESSENCE.com: Congratulations! What can the EMF audience expect from your first performance at the festival? ROBERSON: They can expect me to act a complete fool. I’ve been trying to get on the ESSENCE Music Festival bill for a long time and I’m grateful for this opportunity. I’ve attended as a fan and when people come to my show they’ll realize it’s about connection and having a good time. My band and I will be surrounded by so many great performers that I look forward to performing and make it hard for whoever comes afterward! ESSENCE.com: Are there any performances you’re anticipating? ROBERSON: D’Angelo is my number one, I’ll be right there with my popcorn. I’m a big fan and I’m happy he’s performing again. I’m praying for his healthy return to music because the business needs him. He’s not caught up in what other people are doing, he pays attention to what’s going on in his head. His last album Voodoo challenged people to experiment. He made us artists step it up. I remember a time when we’d turn on the radio and hear a song and we’d literally do a u-turn and go back to the studio. I want someone to slap us upside the head like Lauryn Hill’s Miseducation or R.Kelly’s 12 Play. ESSENCE.com: Tell us about the “At The Same Time” video from your latest album, Mister Nice Guy? ROBERSON: We shot a couple videos together, including “At The Same Time,” and we’re releasing them in doses. The other videos are “Male Ego,” which comes out soon, and “Shake Her Hand,” which will probably come out in the fall. There’s also “Summertime Anthem” that I did with Chubb Rock and our goal is to re-launch that song as an old school tribute featuring all of my favorite rappers from when I was growing up. ESSENCE.com: And you made “At The Same Time” by accident? ROBERSON: I walked in to write something else, but the line “too bad we didn’t fall in love at the same time” I said by mistake. I intended to say something else but I liked it so I went back and re-wrote the whole song. We’ve all had some bad timing in love, either they were really into you or you were really into them. It just didn’t match up and by the time one of ya’ll turned around, the other person had moved on. It’s one of those relatable songs and when I perform it a lot of people enjoy it because they have been through that situation. Don’t miss Eric Roberson at the ESSENCE Music Festival on July 6-8 in New Orleans — get your tickets here!